Sen. Lieberman joins Republicans in ripping the FBI for reading Miranda rights to the would-be Christmas Day airline bomber. 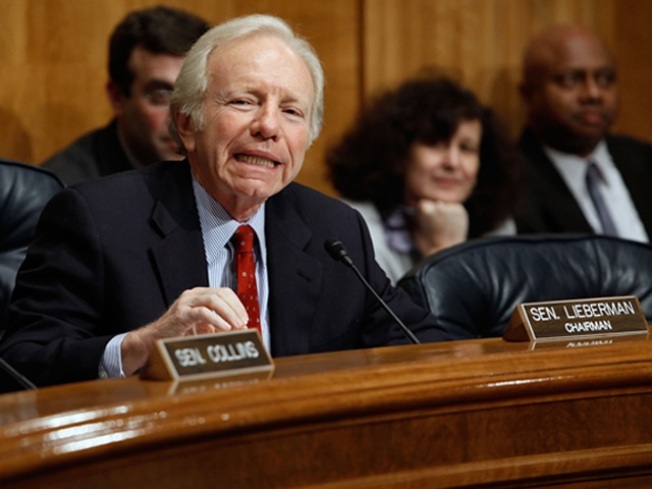 Sen. Joe Lieberman has gone from Democrat, to independent and some think his only shot at staying in the Senate is to run as a Republican in 2012, or create an entirely new party. Lieberman hasn't made up his mind whether to seek a fifth term and Politico reports that the Republican ticket appears to offer Lieberman his best shot at reelection – or he could retire. However, John Olsen, president of the Connecticut AFL-CIO, told Politico that even a GOP run could be a long shot. Lieberman ran under the Connecticut for Lieberman party after losing the Democratic primary in 2006. After Lieberman won, opponents took over the party he created with the hopes of having their own candidate run against Lieberman in 2012, Politico reports. That can no longer happen. John Mertens ran as the Connecticut for Lieberman candidate for U.S. Senate, against Linda McMahon and Richard Blumenthal and received less than 1 percent of the vote, so the party will not automatically go on the ballot. “He would have to form a new party with some other name," Mertens told Politico. "And it could not use the word 'Connecticut' or 'Lieberman' in the name" – based on state election laws. That complicates what already promises to be a difficult election. A Public Policy Polling survey released on Oct. 7 shows Lieberman with a 31 percent approval rating, putting him and George Voinovich -- Ohio’s retiring senator -- in a tie for forth least popular.